As expected, Apple introduced the iPhone 5s and the iPhone 5c at its product release event this week. 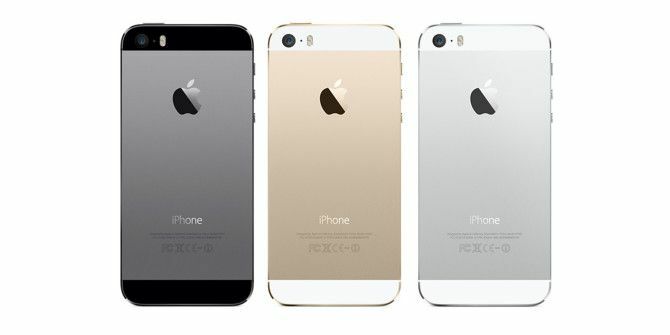 iPhone 5s now comes in two new colors, gold and silver (in addition to the standard black model), and its internal makeup includes a A7 processor with a 64-bit architecture, a fingerprint identity sensor, a faster iSight camera, and a M7 coprocessor designed to measure motion data for the accelerometer, gyroscope, and compass. The form factor of the iPhone 5s is similar to the iPhone 5, with sleek aluminum housing, metal and glass. But the addition of the gold, silver, and spicy gray color models makes the popular phone looked more polished and upscale in design. The biggest noticeable change for the 5s is the Touch ID feature which alleviates the need to enter a passcode in order to unlock your phone or to make App Store purchases. The new sensor technology captures your unique finger print down to the most minor details, undetected by the human eye. Your finger print information is encrypted and stored not on Apple’s server, but in the new A7 chip, and it’s never available to other software, nor is it stored in iCloud. If you share your iPhone with someone else, or you want to have a backup access, additional finger prints can be scanned to the device. Apple also improved its popular camera, which now sports a wider f/2.2 aperture, and a new low light auto-image stabilization feature that when you press the shutter instantly takes four quick photos and merges them for the best blurry-less image. For really low light conditions, the iPhone 5s comes with what is called a Two-Tone Flash, which measures the color temperature of the available light and then fires the white and amber flashes together to create a balanced color tone and image. And for great action shots, Apple added a photo burst mode, similar to existing third-party multi-shot apps, that continuously takes 10 shots per second while you hold your finger on the shutter. In addition, the HD movie camera now allows you to select parts of a video clip and apply a slow motion effect during playback. The iPhone 5s goes on sale starting September 20th, for the same price as the previous model: 16GB ($199), 32GB ($299), and 64GB ($399). So far the new iPhone 5s has received mixed reviews. Let us know what you think of this new version. Are you planning to upgrade to the 5s? Explore more about: iPhone 5s, Smartphone Security. It seems to me that if you can't afford or don't want to pay for both a tablet device and a phone, perhaps a larger screen phone is a practical alternative. The larger screen phone just seems awkward to me. From the very first rumor of Apple making a cheap phone for markets like China's it was obvious to me that they were going for the 2,500-3,000 RMB (China currency) range. It made sense cause most people's salaries here - I live in China btw - are pretty darn low. Once the reveal was made official and the price was revealed I did not get it. They are basically pricing the 5C like a 5, making it still a farcry away from what the mass market here can afford. Then I had a look at the 5S's pricing and it's definitely quite a bit more expensive than the 5 when it first launched. Then I thought about it a bit and it all just makes sense. They knew that in order to make any future iPhones more appealing they had to increase the price, so a more affordable iteration was needed. This is and will always be Apple's MO: making good quality phones at a premium price. It's been my observation that China is going through a "big screen fad" type of phase. Everyone is pining for those 4.5-5" screen phones. A colleague of mine bought into it as well and now sort of regrets it because it's not so comfortable (case and all) in his pockets. China tech fads are quite finicky to say the least. Despite this though I think Apple does pretty well in the Chinese market. I spy a good amount of people with iPhones and iPads on a regular basis. The iPad Mini especially has caught on pretty well. But that's my anecdotal evidence so take it with a grain of salt. News flash .Read Apples annual report before answering and stating China is too poor to afford Apple phones.China is a huge part of Apple's move forwar and iphone is in the top three in the Chinese market and the potential is vast.The number of wealthy citizens is growing faster than any other Country and shows zero signs of slowing down.Last reports show no inflation and 8% growth. The average workers in the cities would need 2 months salary to buy one.Brand Loyalty is important and the quicker you can develop it people all the better.That is why television and movies are designed for a younger audiance and not an older one.They are open to suggestion and the trying of new products.People in the their 6's such as myself stay with what works. As well,Henry Ford was smart enough to price his cars so workers could afford them and owned the market for many years with huge brand loyalty.Pricing them lower for the average worker in China helps cement the brand and encourages the buying of other Apple products in the future as their income rises. I just wonder about the average workers in China, though. How much are they getting paid? You're right though about the growing rich population. It's to be expected when China, some economists have said, is essentially the sweatshop of the world. Let me start by saying that iOS is the ultimate invention this world has ever seen. If Apple wants to extend its product line then i don't think anyone will have any problem because everyone knows that Apple is the king and anything created by Apple is revolutionary. And the most important thing of Apple's product are they are Android free. Sounds interesting?! Apple has never ever compromised with iPhone's build quality. There is video showing how Apple made those plastic cases for iPhone 5C. You definitely need to watch it. And your comment also means that Android phones doesn't have build quality. Special thanks for making my point. User Experience - No one can question user experience of Apple products. Why would Apple introduce a larger screen? 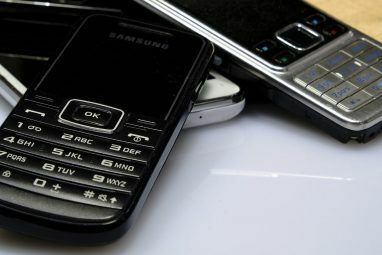 A phone is called a phone when it fits in your hand. Apple is not like other companies which launch larger screen models of the same series every year. Maybe one day they want to make a 15 inch phone. I personally disagree. iOS is not the "ultimate invention the world has ever seen" because that would probably be the ISS or some other spacecraft. Also Android does have good features such as allowing 3rd party apps without complex and risky hacking operations (Jailbreaking) and the actually fact that it is a open and not-closed like iOS. But iOS is also a great operating system. And also I agree with the fact that a larger screen would not be necessary. Chinmay, I agree. I don't definitely don't want to larger size iPhone. That totally defeats the purpose. Nor do I want a watch strapped on my arm. It's just too bad that Apple has to play in the competition game, because it now it has to play games with adding and holding back features between upgrades in order to stay competitive. It also means it's going to have probably come up with something seriously awesome for the iPhone 6 to make it unique. Let me start by saying that iOS is a crime against computing and Apple can do no right in my eyes, not just bad but insulting. That being said, bifurcating its product line is a terrible idea. Prior to the most recent product refresh, Apple's mobile offerings were centered around a high end device and a former high end device. Now it has started down the path of sacrificing build quality to provide a cheaper option. This means that many users are going to wind up with a less satisfying user experience. "User Experience" is supposed to be something that Apple does well and that is going to be replaced with "Well what did you expect? You didn't buy the expensive model." 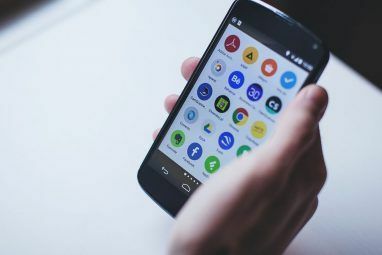 If Apple had legitimately wanted to distinguish its products, it might've offered a model with a large screen or introduced at least a few of the good ideas present in Android and Windows Mobile, such as consistent sharing options or near real time information updates on the home screen. They screwed up bacly with this.One of their largest markets is China and the phone will debut at 850 dollars.That is about 2 times the average manafacturing city workers salary.They are not paying any attention to waht the market wants or needs.They should heed the lesson Blackberry learned. Newsflash: Apple doesn't want to sell phones to people with no money, who then cant spend on apps or media. Scott, it's all about the mega profits Apple makes— some at the expense of cheap labor in China. I read somewhere that they were making $500 profit on each unit of MacBook Airs they sell. There's no telling at this point how much profit they're making off the phones. That's why it's a multi-billion dollar corporation. 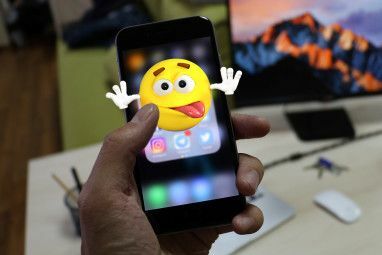 Quite frankly I'm getting a little tired of spending my money on Apple products, though I'm pretty much hooked into their ecosystem, and I write a lot of articles about their products. They're a profit hungry enterprise like most corporations whose CEOs and executives get paid huge pay packages, more than they really don't need. Anyway, my two cents.